Minnesota Lake is between Mankato and Albert Lea. A brief tornado touched down east of Minnesota Lake in southern Minnesota Friday afternoon. Video of the tornado was captured by Jena Siegler and tweeted to the public by KYEC meteorologist Mark Tarello. The National Weather Service Twins Cities caught wind (sorry) of the twister and noted that it was a land spout tornado, which are known to move very slowly. Unlike traditional tornadoes, land spouts have a circulation that starts from the ground and aren&apos;t known for causing a lot of damage. Another spectacular storm photo was captured in Rochester by Whitney Tonne, who snapped this photo of a picturesque shelf cloud. 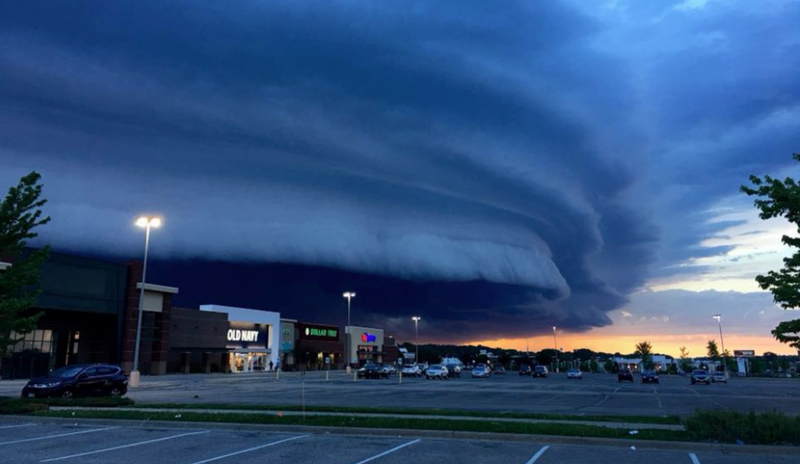 Whitney Tone captured this incredible photo in Rochester on Friday evening. A severe storm also rumbled through the north metro around the dinner hour, producing large hail the size of golf balls in and around Forest Lake. The twister touched down just before 4 p.m. Sunday. The Weather Service says it touched down near the town of Hancock. One of the tornadoes flattened 600 acres of crops.